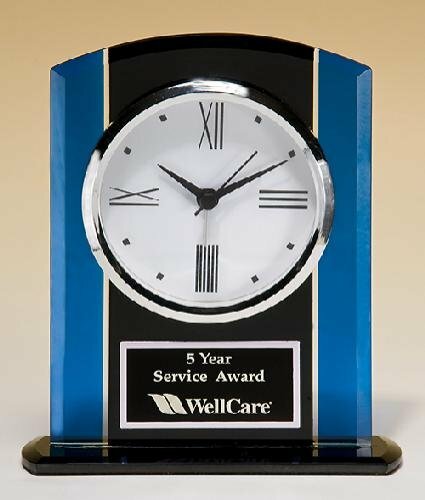 Black and blue glass clock with silver bezel. Three-hand movement. Black aluminum plate engraved with silver text. Individually gift boxed.